Thank you for the honor of speaking in front of such a prestigious conservation group. Some of the folks who contributed to this organization are personal heroes of mine in the conservation community, particularly Brad Wyche, Frank Holleman and Dave Hargett. My remarks will be brief, I assure you. Mainly what I want to do is congratulate y’all on the remarkable job that you have done in the past twenty-five years and look at how you got here. 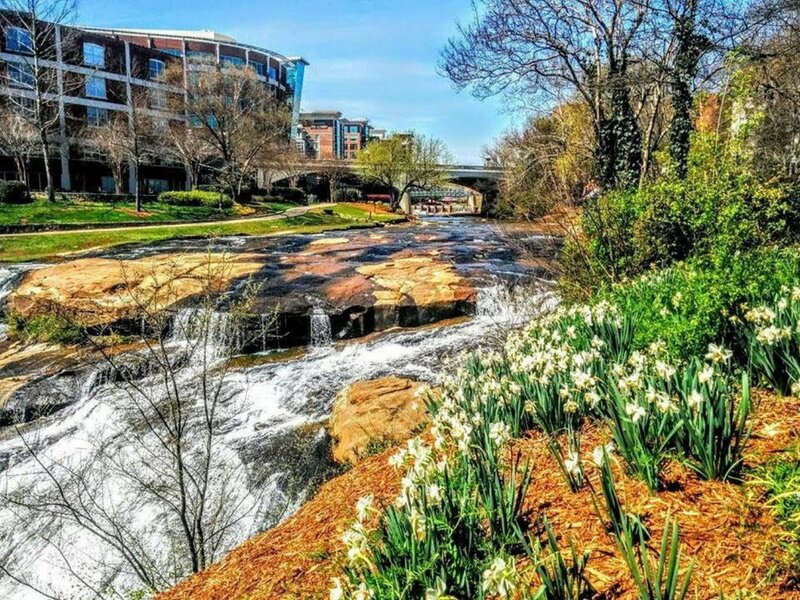 When you look at the Renaissance of Greenville, and how much of it is tied to the Reedy River, it truly is an amazing story. Crowds gather on the banks of the river for the annual Reedy River Festival. That tells the tale of what was happening before the Clean Water Act was passed in 1972. No fish and no macroinvertebrates. The Reedy River was lifeless. And this was due to the unregulated release of waste from textile operations in the Greenville area. The turnaround for the Reedy and many other impacted rivers in the United States, began with the Clean Water Act in 1972. Fast forward to 1993, when three concerned citizens, Tom Tiller, Ben Geer Keys and Brad Wyche, saw this greatly degraded river and decided to act. The Friends of the Reedy River was formed. Through the years many “movers and shakers” in the conservation community contributed to the success of Friends of the Reedy River, which had the Reedy on the road to recovery. 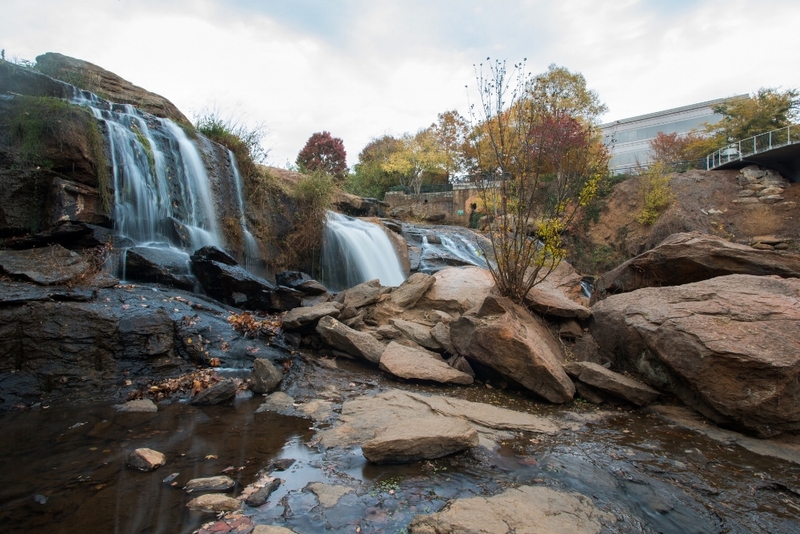 The Reedy River has been transformed over the course of the last three decades from an eyesore to a destination spot for residents of Greenville and the surrounding area. First, in 2000, after several years of planning and negotiation, the Conestee Foundation was created specifically to acquire historic Lake Conestee, with the support of the Governor's office, the South Carolina Department of Natural Resources and SCDHEC, using funds from the Reedy River Restoration Fund. These funds came from the state's civil settlement with Colonial Pipeline, following its catastrophic oil spill in 1996. The Conestee Foundation's objective was to transform the long-neglected Lake Conestee, several miles of the Reedy River, into a wildlife sanctuary and nature park. The Foundation subsequently acquired remnants of three former farms surrounding the lake to expand the nature park to over 400 acres. What a jewel that park is for Greenville and Greenville County today! We take the Upstate Master Naturalist class there every year, and Dave Hargett meets us there and tells us the incredible story of how it came to be. The SCDNR acquired Cliff Pitts Wildlife Management Area near Boyd Mill Pond in Laurens County, 509 acres with 1.8 miles of frontage on the Reedy. Ongoing efforts to monitor the Reedy River’s water quality and assessment of the recovery of the river after the spill have been funded. Public recreational access to the Reedy has been improved. An environmental education program to reduce stormwater runoff has been instituted. Photo Gallery below: Clean up days on the river and many other activities organized by the Friends of Reedy River have made a profound difference in the life of this river and the community that surrounds it. This whole story of the spill is also why a young freshwater fisheries biologist named Kevin Kubach came to the SCDNR. Mitigation money from the pipeline spill funded studies of the Reedy River and funded Kevin’s entry into SCDNR in 2004. Since his arrival, a number of good things have happened relating to rivers in South Carolina. Southeastern rivers and streams have suffered long-term declines in native aquatic species, primarily resulting from changes to stream habitat related to human landscape alterations. To pursue a more proactive, science-based conservation strategy, the SCDNR partnered with Clemson University to undertake a comprehensive assessment of South Carolina’s wadeable streams from 2006-2011 and determine the status of native fish assemblages and aquatic resources throughout the state. Kevin heads up the SCDNR Stream Team that performs these studies. The stream assessment resulted in collection of biological, chemical, physical, and landscape-level data necessary to drive informed decision-making in our efforts to conserve our aquatic resources. Healthy rivers help build healthy economies! 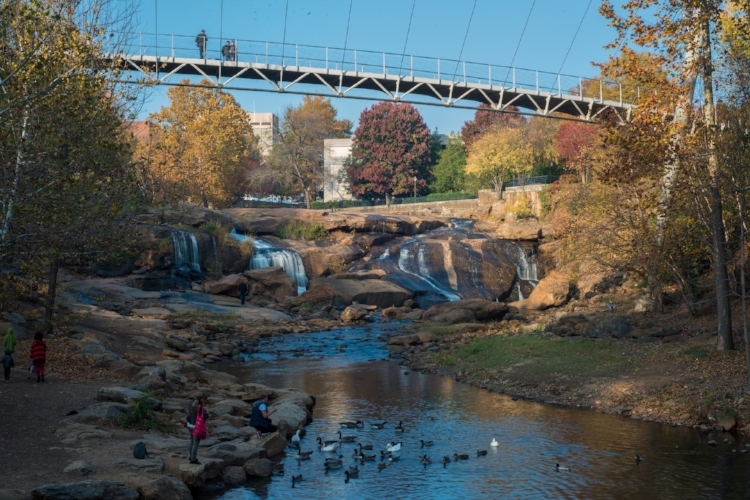 Now local and regional economic development officials point to the River and the pedestrian bridge spanning it as a focal point for a revived and booming downtown Greenville. These studies may not have happened without the events on the Reedy River. So as tragic as the 1996 spill was, many good things did come out of it. Fisheries Biologist Kevin Kubach is a prime example of that. Kevin told me just recently that currently the Reedy River has more than 30 species of fish from the upper river to lower river. So the river went from ZERO fish species to 30-40 in the course of 40 years, mainly because of the Clean Water Act and because of the actions of groups like Friends of the Reedy River. Fish species are an indicator of the health of the river, according to Kevin. In fact, he says it’s the REPORT CARD for the river. That’s what people can rally around, try to keep this report card as good as it can be. The thriving fish community on the Reedy is a report card, and it gets a good grade since the Clean Water Act and the creation of Friends of the Reedy River. 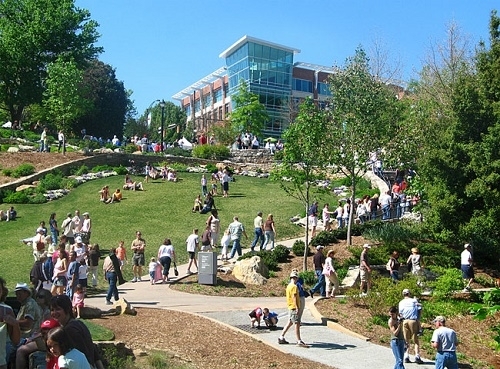 Around the same time that Kevin arrived at SCDNR, the Reedy River Master Plan was put into place through the efforts of the city and county councils and groups like Friends of the Reedy River and Upstate Forever. The basic goals of the plan were to improve river access, protect water quality, reduce flooding and provide opportunities for recreation and development along the sixteeen-mile river corridor. The fruits of this plan, and efforts of groups like y’all, are astounding: the Swamp Rabbit Trail, River Place, and various mill renovations and other developments along the river. Travelers Rest goes from a sleepy Southern town to one of the hippest places in Upstate South Carolina. And it all comes back to the Reedy River. Rivers are places to dream, to get lost. I read somewhere that you could hear conversations from the past in a river. I’ve tried this out, and if you listen closely, getting away from the extraneous noise that invades all our lives, you really can hear what sounds like people talking. In the sounds of the water slipping and rushing over the rocks, you can hear what sounds like human voices. Now, I don’t pretend to know what they’re saying. But when it comes to the Reedy River, and what has happened during the past 25 years, and what’s likely to happen during the NEXT 25 under the watch of good folks like y’all, I think the talk is ALL GOOD!